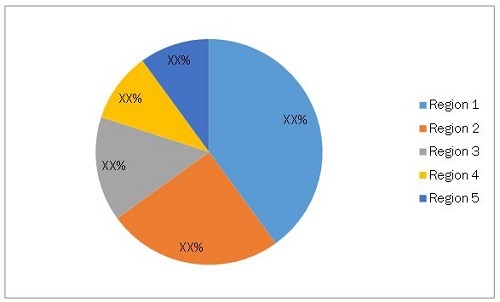 The global PET foam market, along with its applications, has witnessed a good growth for the past few years and it is estimated to follow the same trend in the coming years. The properties such as FST (fire, smoke, and toxicity) properties, fully recyclable, resistance to water absorption, resistance to corrosion and temperature & chemical resistance, under various conditions will be the key influencing factors for the PET foam with an increased emphasis on its different applications. The market is experiencing a higher growth in the Asia-Pacific and North American regions due to the increase in end-user demand and is expected to continue in the near future. The Asia-Pacific region is the major market that accounted for 35.76% of global market demand by volume market size in 2014. The wind energy application accounted for the major share of the total PET foam market in 2014. The wind energy, transportation, marine, packaging, and building & construction applications are projected to be growing applications in the market. The drivers of the PET foam industry include recovery in the marine market, promising wind energy market, and growing penetration in the end-user industries due to increase in demand for energy and other products from the increasing population along with their purchasing ability in emerging countries such as China, India, and Brazil. Market data for all the applications of PET foam is given in the study with respect to volume as well as value. The data is based on the demand for all the application. Asia-Pacific accounted for the largest share of the market. This study basically aims to estimate the global market of PET foams for 2015 and to project its demand by 2020. It provides a detailed qualitative and quantitative analysis of the global market. Various secondary sources such as directories, industry journals, and databases are used to identify and collect information useful for this extensive commercial study. The primary sources that include industry experts from related industries and suppliers have been interviewed to obtain and verify critical information as well as to assess the future prospects of the market. Competitive scenarios of the key players in the PET foam market have been discussed in detail. Leading companies of this market with their recent developments and other strategic industry activities are profiled in the report. The leading companies include key PET foam manufacturers such as Armacell International S.A. (Luxembourg), 3A Composites (Switzerland), Gurit Holding (Switzerland), DIAB Group (Sweden), BASF SE (Germany), Changzhou Tiansheng New Materials Co. Ltd. (China), Sekisui Plastics (Japan), Petro Polymer Shargh (Iran), Carbon-Core Corp. (U.S.), and others regional players. The global PET foam market has been covered in detail in this report. To provide an all-round picture, the current market demand and forecasts have also been included. The PET foam market is estimated to reach $225.44 Million by value by 2020, signifying a CAGR of 8.1% between 2015 and 2020. The global market, along with its end-use applications, showed a high growth in the past few years and is estimated to continue in the coming years. An upsurge in sales of end products due to large demand and spending by growing population will be the key influencing factor for the global market. Currently, Asia-Pacific is the largest PET foam market which is estimated to register the highest CAGR. Countries such as China and India are projected to lead the market in Asia-Pacific, with China accounting for the largest share in terms of volume. The market size by volume of PET foams is comparatively low in the Middle East & African and RoW regions, but the estimated growth for the regions is second- and third-highest after Asia-Pacific, respectively. Asia-Pacific, Europe, and North America are the most active markets in terms of strategic initiatives, owing to their market demands. The important PET foams manufacturers include Armacell International S.A. (Luxembourg), 3A Composites (Switzerland), Gurit Holding (Switzerland), DIAB Group (Sweden), BASF SE (Germany), Changzhou Tiansheng New Materials Co. Ltd. (China), Sekisui Plastics (Japan), Petro Polymer Shargh (Iran), Carbon-Core Corp. (U.S.), and other regional players. This report covers the PET foam market by key regions and important countries in each of these regions. It also provides a detailed segmentation of the market on the basis of different technologies, along with their key applications. 5.3.1.3 Recovery of Marine Market in the U.S.
5.3.4.1 Uncertain Wind Market in the U.S.
11.7 Sekisui Plastics Co., Ltd.
11.9 Changzhou Tiansheng New Materials Co., Ltd.